An entertainment company based on strong business fundamentals, creating quality content. Welcome to the home page of Arjoe Entertainment. Our focus is to create and distribute quality Bengali movies and music in domestic and international market. Our main goal is to produce parallel cinema as well as movies for the mainstream market, to create a platform of excellence derived from existing artists and gateway for new talents both for film and music business. We want to establish a professional and transparent corporate culture and implement an efficient business system and achieve profitability. CEO& Chairman, Arya Bhattacharya receiving Golden Lotus National Award (Best Feature Film of 2003) for the movie " Tale of a Naughty Girl" (Mondo Meyer Upakhyan) from Dr. Abdul Kalam, the President of India, in a ceremony held at New Delhi. Arjoe Entertainment is the producer of a string of Bengali feature films, the latest is the national Best Feature Film Award winner (2002-2003) Mondo Meyer Upakhyan. It has also received 4 star rating in the Toronto Film Festival besides various international awards. Arjoe has also recently released overseas two HOME CONCERT videos featuring legendary Pandit Bhimsen Joshi and Ustaad Rashid Khan. USA: Saturday: 8:00PM PST; 11:00PM EST. 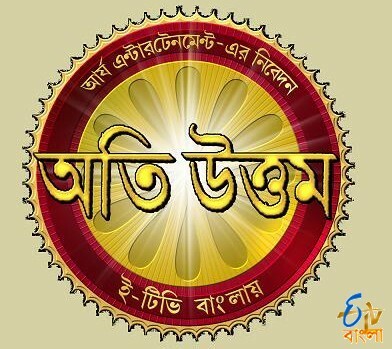 Arjoe Entertainment in conjunction with ETV Bangla, the No.1. Bangla TV channel brings to you Oti Uttam, a series of 104 tele films in two phases based on the timeless classics in Bengali literature and originally enacted by the great thespian Uttam Kumar and a whole host of luminary actors and actresses of all times. First phase of 52 films started 1st October 2005 with the telecast of Harano Sur. Till date over 30 films have been screened and the series is now available on the ETV Direct TV beam in the USA. The program saw many innovations and Brand Extensions never seen on Bangla Television before this. The program started with a Weekly Radio Show Oti Uttam Special on Amar FM the most popular Bengali Radio Station. The program also saw two high profile brand extensions: The Oti Uttam Concert, held at Nazrul Manch on 17th February which went on air over two weeks to deliver astonishing TRP's. End June saw Sarbottam the first award program built around one program. Millions of viewers voted for their favorite actors in over 13 categories. The second concert is slated for end December at Kolkata. ETV Bangla, the undisputed leader in Bangla television invested in the tele-film genre early and created a viewer ship for well-made and well-told tele-stories. According to the latest TAM reports ETV surpasses all channels including the National market leader Star Plus and all other Bangla channels by far. ...and a lot lot More.